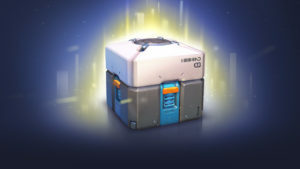 The ongoing controversy revolving around the proliferation of “loot box” reward systems within games often played by underage customers has received another boost in visibility in recent days, this time with a joint announcement by regulators in 16 prominent jurisdictions that the “blurring of lines between gambling and gaming” must be addressed. The “International Gaming and Gambling Declaration 2018” was spearheaded by the United Kingdom Gambling Commission (UKGC), an co-signed by regulators in 14 other countries and the US state of Washington. The declaration and its hidden promise or enforcement against the gaming industry poses a dark cloud that, in some ways, is long overdue. 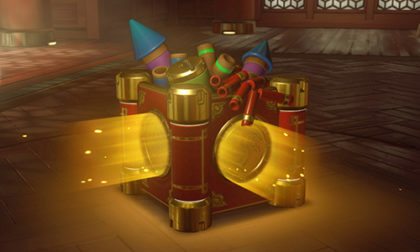 The addition of gambling-themed elements within products targeted at gamers, a large percentage of whom are underage, has been a key element of the financial success of those games. And, as gaming-industry pros have long known but have been loath to acknowledge publicly, such soft-gambling elements have been a part of the gaming scene — in one form or another — since that scene itself has existed. Loot-box offerings are widely seen as one the most gambling-themed elements in modern gaming, with the games’ players being induced to purchase (or offer consideration) the boxes, which contain prizes of indeterminate value for use within the games. “Our authorities are committed to the objectives of their public policies with regard to consumer protection, prevention of problem gambling and ensuring the safety of underage persons,” the regulators’ joint statement begins. “While each regulator has distinct duties and powers within our own national gambling frameworks, we share a number of common principles including the need for gambling to be regulated to ensure high standards of integrity, fairness and consumer protection, in particular in relation to children. The joint declaration represents the establishment of a platform offering communication channels to “responsible game developers” and the threat of enforcement action against those developers who are rather less responsible. “We anticipate that it will be in the interest of these companies whose platforms or games are prompting concern, to engage with [gambling] regulatory authorities to develop possible solutions,” the statement pointedly notes. Neil McArthur, Chief Executive and signatory for the Gambling Commission on the declaration, added: “We have joined forces to call on video games companies to address the clear public concern around the risks gambling and some video games can pose to children. We encourage video games companies to work with their gambling regulators and take action now to address those concerns to make sure that consumers, and particularly children, are protected.